Poetic Crochet has long been one of my favorite crochet books. I love it because the shawls are not only beautiful, but they’re functional and accessible, too. And the projects are all inspired by classic poems, which adds a lovely touch to an already lovely book! Whenever I open this book, I always take the time to read the poem that inspired the crochet shawl I’m looking at. The other thing I love about Poetic Crochet is that the projects are suitable for crocheters of all skill levels. In her introduction to the book, author and designer Sara Kay Hartmann says that each project uses “conventional crochet stitches and techniques that will suit an adventurous beginner, while keeping more advanced crocheters entertained.” And although the projects are accessible for all crocheters, they definitely don’t look like beginner projects: Hartmann uses fine-weight luxury yarns and polished finishing techniques to transform those “conventional” stitches into crochet works of art. Read on to see our top 5 favorite shawls from the lovely Poetic Crochet! Featuring a stair-stepped pattern with large eyelets, Dover is a unique take on the filet crochet trend. The pattern seems intricate, but the shawl is made using only chain stitches and double crochets! Best of all, there are only 2 yarn ends to weave in when you’re done crocheting, so finishing is done in a flash. This incredibly light and surprisingly warm shawl uses classic stitches to create a simple yet striking silhouette. Designed to be a prayer shawl, Orisons is meditative to work and is sure to bring joy and peace to the recipient (even if the recipient is you!). The allover shell and lace patterning and simple repeats of Skylark create an airy, romantic shawl that’s perfect for summer weddings and other fancy events. 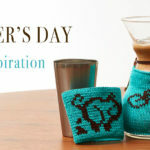 It’s also a great project to take on your summer adventures, since the top-down construction makes it easy to start and stop crocheting while you’re out and about. One of the most striking shawls in the book, Faerie Queene was inspired by the detailed patterns that adorned royal fashions in the Elizabethan era. The crisp linen yarn provides excellent stitch definition for the mini-patterns that run throughout the piece. Spring Dream is exactly the shawl you want to make (and wear) when you need a hint of spring on a cold winter’s day. The combination of the laceweight mohair yarn and puff stitches suggests the first buds of spring. Of course, this shawl is great for spring and summer wear, too! 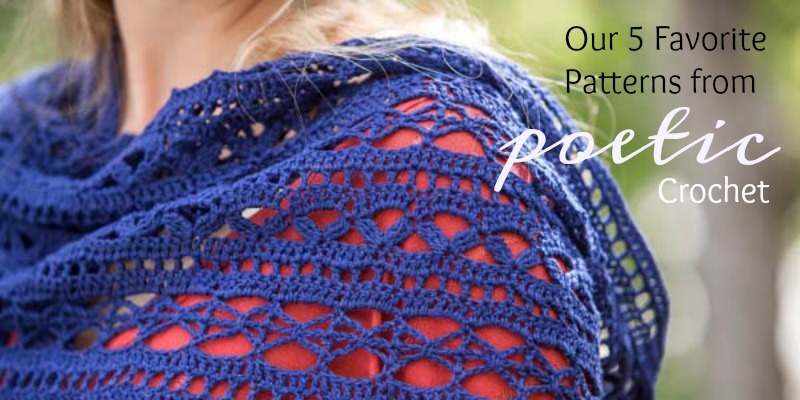 We recently released the patterns from Poetic Crochet as individual downloads, so if you need a new shawl or two (or three) for summer, check them out! Want More Shawl Inspiration? Check These Out!